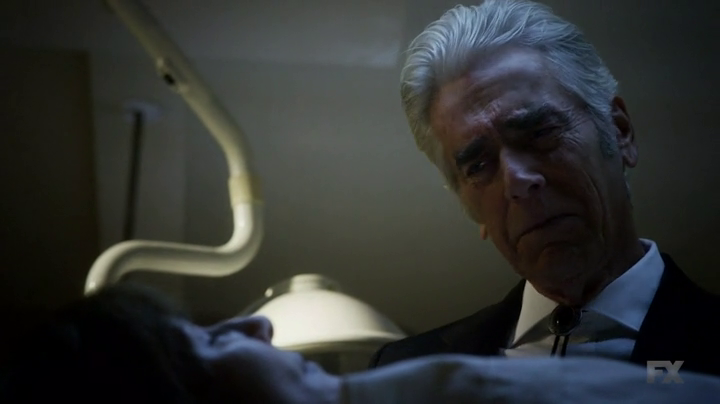 This week’s RayAction is focused on Justified’s series finale, “The Promise.” It contains SPOILERS for the entire series of Justified. Fire in the Hole! The lead single off the official soundtrack for Dave Grohl’s documentary Sound City is entitled “From Can To Can’t.” It’s got Grohl drumming, Cheap Trick guitarist Rick Nielson, and Slipknot/Stone Sour vocalist Corey Taylor (sorry, Scott Reeder). It’s a great song. The lyrics are bold and evocative, but vague enough to preclude a single meaning. The song itself is organized around “the line.” In the first refrain, Taylor draws the line. In the second, he blurs the line. The in the last, he crosses the line. 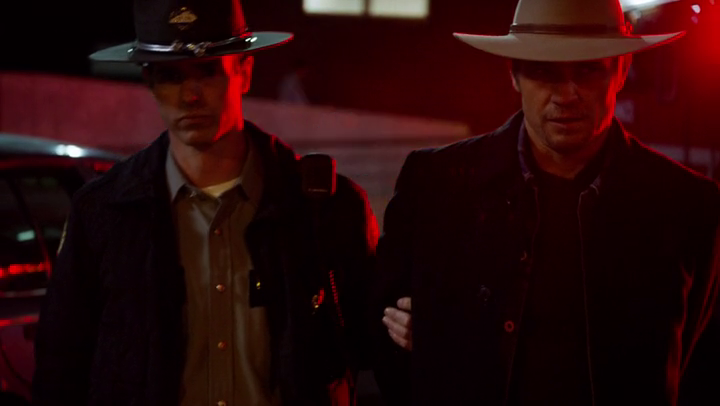 Justified is sort of the “From Can to Can’t” of Raylan Givens. By the end of “The Promise,” we know Raylan. That no small thing, as Winona pointed out in “The Hunt.” Raylan is so guarded; so closed off, that it’s hard to get a read on him. But actions speak louder than words and we’ve had six seasons of Justified comparing Raylan to his prey to see where he draws, blurs, and crosses his line. This week’s RayAction is focused on Justified Season 6, Episode 10 – “Fugitive Number One.” It contains SPOILERS for the entire series of Justified. Fire in the Hole! 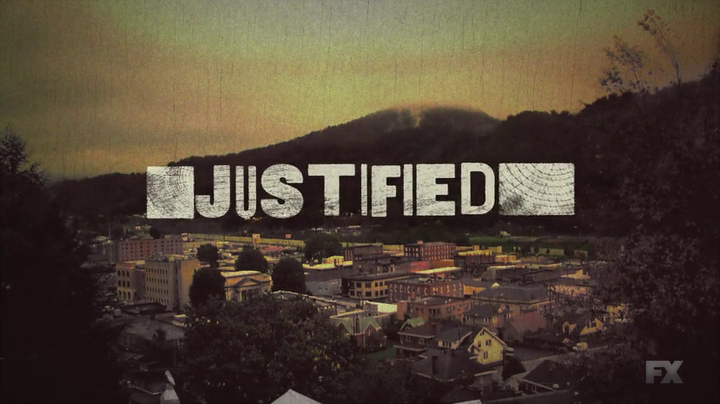 Even during its worst moments (that didn’t involve Winona stealing evidence money, at least), I’ve always enjoyed Justified. It’s made me laugh. It’s shocked me. It’s kept me perched on the edge of my seat. It has never made me cry. Yet, that’s exactly what happened about halfway through “Fugitive Number One” when Mikey (Sorry… It’s “Michael”) ate four bullets in defense of his partner Wynn Duffy.